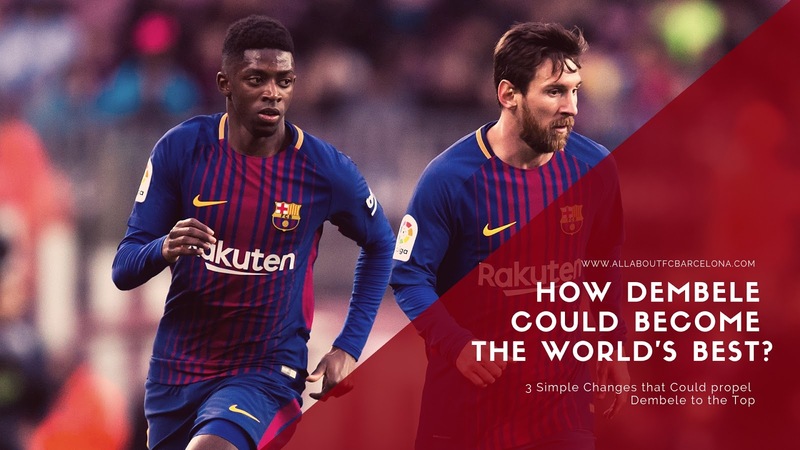 These 3 Simple Changes could Make Dembele be one of the Best! This Season definitely has been the coming out season of Ousmane Dembele. Now he needs to take it to the next level. Ousmane Dembele has been quite good, so far this season. Some of his ardent fans would argue that he has been quite spectacular, I will not jump to that so early. Considering where he was last season, this season has been really a passing out ceremony. It is safe to say that we know why Barcelona went out and splashed so much cash for him. Last season ended with a feeling that that high amount was literally wasted. But this year, no one will even question the price tag. We know clearly what he adds to the team, and how he can impact the style of play. But it's a baby step and if he really needs to hit those high expectations, he needs to do the following things right.